This is our own blend of Jasmine and China black tea is the completely oxidized leaves of the Camellia sinensis plant. Known as "red tea' in China. For the color of its infused cup, black tea is hearty and full-flavored, with an inherent sweetness and underlying malty note. 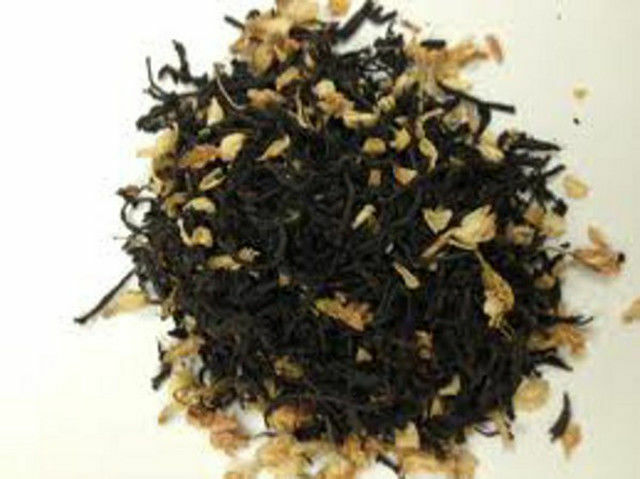 This tea is Flowery Orange Pekoe (FOP), which designates whole tender leaves rolled with substantial leaf tips, a guarantee of quality and consistency in both color and flavor.